Guillaume Darcourt has been cutting into Ryan Lenaghan's chip lead all day and is now within one million chips early in the second level of play on Day 7. 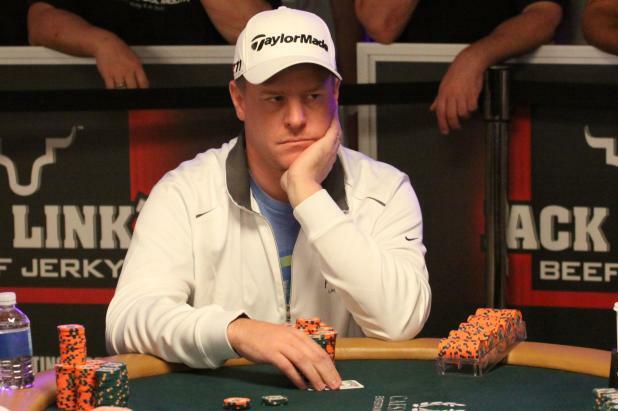 Erick Lindgren has quietly worked his way to Day 7 of the Main Event and is now the biggest name pro left in the field. Here he stares down his opponent after putting in a raise.